Our auto scanner/ diagnostic tool company is committed to helping with the diagnosis and repair of exotic cars such as Ferrari, Maserati, Lamborghini, McLaren, Aston Martin. We also offer software packages that can be added to the Leonardo Diagnostic tool for brands such as Alfa Romeo, Audi, AMG, Bentley, Bugatti, BMW, Fiat, Mercedes, Maybach, Mini, Porsche, & Rolls Royce. Independent workshop service centers and dealerships choose us as their trusted source for the best car diagnostic tool on the market. We hold technical training programs in regions all around the world for our car scanner software. Our technical training programs include in-depth coverage of the car diagnostic equipment strategy. Upon completion of the training program, auto technicians gain a complete understanding of diagnostic car tool so that they can implement the Leonardo diagnostic tool with complete confidence. Leonardodiagnostictool.com is a division of Nicks Forza Ferrari in Custer, Washington. With a specialization in Ferrari, Maserati, and Lamborghini car diagnostic equipment, Nicks Forza Ferrari has extensive experience in the exotic car industry. Since 1996, our company has been performance tuning & modifying Ferrari automobiles along with supplying parts and accessories to independent workshops. The Leonardo diagnostic tool is designed & manufactured by Accinni SRL in Italy. With over twenty-five years of experience with tuning and diagnosing exotic cars, Accinni SRL manufactures only the highest quality diagnostic car tools. Since 2009, Nicks Forza Ferrari and Accinni SRL have worked together to supply diagnostic hardware and car scanner software. 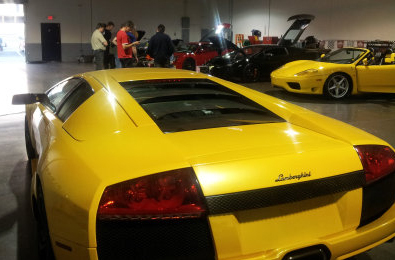 We have a passion for exotic super cars, and we specialize in European models. Leonardo Diagnostic Tool offers workshop employees personalized training programs for Ferrari, Maserati, and Lamborghini. We also ship worldwide and stock units for immediate delivery via UPS, DHL, and Air Worldwide. *Join our mailing list for special offers!